To understand where you are going you need to understand where you have been. While researching this post I was shocked about how little is written about this topic. Clearly academia continues to discount the sales profession. The lack of hard academic research and formal university sales curriculums further highlights this “player hating.” Is it because professional sales people are still seen as snake oil salesmen? Or is there just a lack of interest in professional selling? My prediction is that sales is still not considered a hard skill or discipline like marketing or finance. Well that is about to change. The goal of this post is to educate today’s professional sales person. As Steve Jobs said “you can’t connect the dots looking forward.” Hopefully you can connect the historical dots here in order to extrapolate what the future of sales may look like. Obviously sales has been around since we were bartering as cavemen. Let’s pick up the story of professional selling in 1752: the year “Benjamin Franklin founded America’s oldest, continuously active insurance company.” At this time insurance and many household goods were subscription products. A sales rep would close the opportunity and then make regular in-person visits to collect monthly payment. This new sales structure was an instant success and quickly spread to other industries outside of insurance. Role specialization and process improvement become the first major advancements in the history of professional selling. From 1849 to 1882, 180,000 Chinese immigrants arrived in America to help build the intercontinental railroad. And with these Chinese workers came a game changing product called snake oil! ? Clark Stanley (the original snake oil salesman), doctors and traveling salesmen began to aggressively and deceptively sell “magic remedies” across America. This stigma is still something we deal with today when discussing the public’s perception of the sales profession. 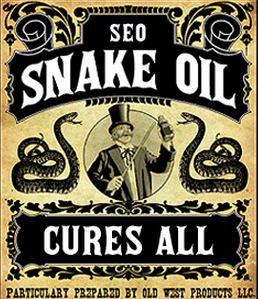 During the early 1900s because of snake oil salesmen, the sales profession was seen as an occupation for the unethical and unprofessional. Luckily for the profession, a hotshot salesman by the name of Thomas J. Watson Sr. had just landed a new gig. Thomas looked to make his newly named company, International Business Machines, a sales powerhouse. Thanks to IBM, sales had become a professional and respectable occupation for the educated. In July 1925, E.K. Strong published The Psychology of Selling. Strong developed a myriad of lasting sales principles such as features and benefits, objection handling, and question type. He showed that sales was a hard skill that could be taught, learned, and studied. renewed interest in the sales profession by corporations, entrepreneurs, and authors. One of these entrepreneurs was Dale Carnegie. 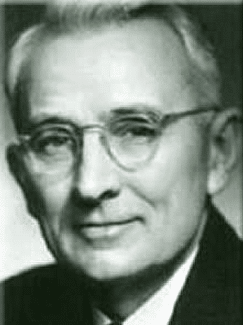 Dale Carnegie became a best selling author and business trainer. He helped moved the sales profession forward through his concepts like AIDCA, which “shows how the seller works through the five steps to secure a buying commitment.” AIDCA stands for Attention, Interest, Desire, Conviction, and Action. Solution Selling introduced an advanced sales model that worked very well for selling complex products and services. Instead of the sales rep forcing the product down the customer’s throat regardless of need, the rep would ask a series of questions in order to identify if there is a fit. SPIN Selling brought us into the solution sales era and helped us understand how to maneuver complex sales processes. While at Salesforce.com, Aaron Ross saw that further role specialization was needed in the sales profession. 141 years earlier, insurance companies specialized sales roles because of process inefficiencies. Aaron saw similar inefficiencies: Account Executives/Closers spending disproportionate amounts of time prospecting for leads instead of closing new business. This insight was followed by the creation of the additional specialized sales role, the Sales Development Rep (SDR). The 3 key components of this sales process (Lead Generation, Closing, and Account Management) each have 1 specialized rep focusing on that piece of the process. Aaron moved the sales profession forward by helping us understand that sales growth comes from qualified lead growth. And qualified lead growth comes from a Sales Development Rep 100% focused on finding and qualifying leads. It is a very exciting time in the sales profession with SaaS prospecting automation companies raising major financing rounds and beginning to really scale their footprint. The number of tools in the modern sales rep’s tool box has exploded in recent years. With the SaaS Sales Stack, now reps have specialized cloud sales apps for each of their workflow processes. Apps for lead generation, CRM, email automation, contract management etc etc. The more app’s your team has mastered the more successful they will be. All the apps connect which means the customer data has never been so robust. Automation of key processes like logging sales activities means reps can spend more of their time actually selling. The top performers are now those that have learned to master the new sales technology AND the best practices. We call these top performers “sales hackers.” These sales hackers understand the importance of the right tools and the right training in combination. The Sales SaaS Stack will become so powerful over the coming years that it will inevitably leave a significant percentage of “old school” sales reps in the dust. The SaaS Sales Stack and its proponents like Max Altschuler helped move the profession forward by giving sales reps a ridiculous amount of new impactful sales tools. Sales has evolved more slowly over the last 145 years than other disciplines like finance and marketing. But we are now in a sales renaissance. Innovations and new insights will continue to come at an increasing rate. The future looks very bright for those who understand the history, study best practices, and master the new tools of the trade. The combination of the right tools and the right training will power a new generation of tech savvy sales nerds (like myself).